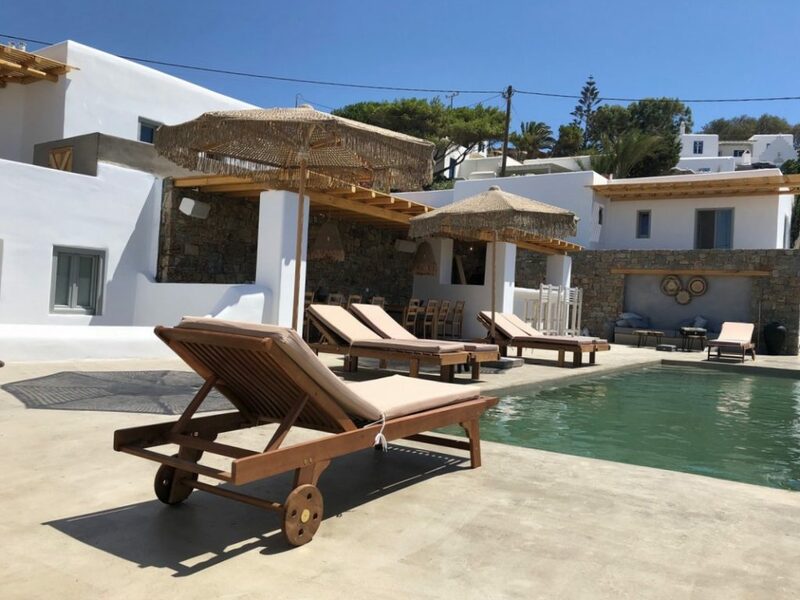 Villa Leon III is a brand new lux villa in Platis Gialos in Mykonos. Villa consists of 7 individual lux suites (Leon I, Leon II, Leon III, Leon IV, Leon V, Leon VI, Leon VII) which gives you extraordinary place to have a rest from tired work days. A master guestroom with en-suite bathroom adjoins a spacious living room that has just the right balance of custom-made creations and international design items. Modern comforts considered down to the finest detail are completed by personalised service to ensure that your vacation on Mykonos is a dream come true.